Everyone wants to find their soulmate and fall in love. It’s a fact. Building relationships is human nature, and falling in love is something that people simply can’t help. Why would a person even want to prevent falling in love? It’s incredible, it can make you happier, and it can increase your self-confidence. 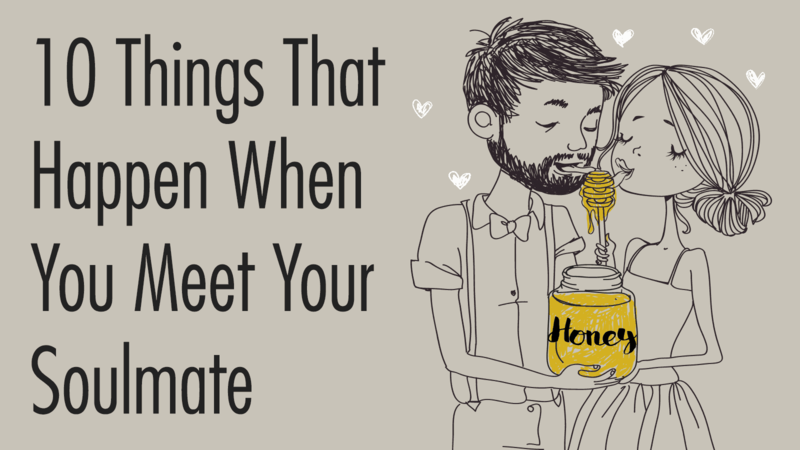 But what happens when you meet your soulmate? 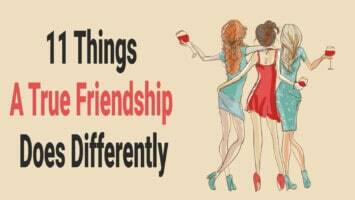 There are several changes you will undergo when you find that special someone. Your life won’t stay the same. You’ll have to make adjustments to meet the needs of your loved one. Love can last forever, and your body will have to go through changes to prepare. Below you will find 10 changes that happen when you finally meet your soul mate. You will no longer view the world the same way. You will start to notice things you have never noticed before, and you will find joy in things that you previously did not. You’ll be more optimistic, outgoing, and loving. Even a person that was truly happy prior to meeting their soulmate will experience an unseen happiness. According to NBCNews, you will begin to notice that your relationship isn’t all about being intimate. The relationship between your new soulmate may begin with a lot of time in the bedroom, but when you are truly in love, you will enjoy doing anything with your partner. This one isn’t always a good thing; however, it is nice to know that someone else has control of your emotions sometimes. Your partner’s feelings will become your feelings. This opens you up to vulnerabilities that you didn’t even know existed. These types of things happen when you meet your soulmate because you become more open to them. According to Mary Lynn, the co-director of the Loyola Sexual Wellness Clinic, love lowers serotonin levels in the brain. Serotonin is responsible for many elements that make someone obsessive compulsive. It isn’t only the serotonin levels that change in the brain. So in the brain, what happens when you meet your soulmate? A variety of feel-good chemicals are released in the brain, including dopamine, adrenaline, and norepinephrine. These chemicals create a range of physical reactions. You will not be able to stop smiling. This doesn’t only apply to times when you are with your soulmate. You will be smiling everywhere you go. You will be thinking about your special someone all the time, resulting in a constant smile gracing your lips. You want to make your soulmate happy, so what happens when you meet your soulmate? You become more productive. Productivity can increase because you want to let your partner know that you are good at something. You want to be a provider, and you want to be able to show your partner that you can become one. No one falls in love right away. Love happens in stages. These three stages are lust, attraction, and attachment. When you first meet someone, you will feel lust. If you truly click, you will feel attraction. Finally, you will become attached to this person. It can be hard to know if you are falling in love with someone; however, there are some surefire signs to look out for. Don’t worry, you won’t begin doing hard drugs when you fall in love. You will become addicted to your partner. A study confirmed that social attachment fires the same points of the brain that addictive substances do. There are plenty of examples of people truly becoming addicted to each other. When you are in love, you become more intuitive. Not only will you be able to intuit what your partner will do, think, and want, you will be able to solve more complex problems in other areas of your life. This is mainly because you will have someone to help you. You always have a second opinion that is ready to help you in any way they can. You’ll have lot to thank your partner for once you find them. Love is truly a magical feeling. It makes sense that it would affect you in so many ways. Love can have bizarre effects on the body, resulting in deep, profound changes to how we behave and think. This isn’t necessarily a bad thing. Now that you know what happens when you meet your soulmate, you can prepare for these changes and enjoy them to the greatest potential.